In August farmers markets overflow with pera rocha (rocha pear), a delicious pear variety unique to Portugal. In 1836 António Rocha, a horse dealer from Sintra, noticed a tree that produced unusual pears. 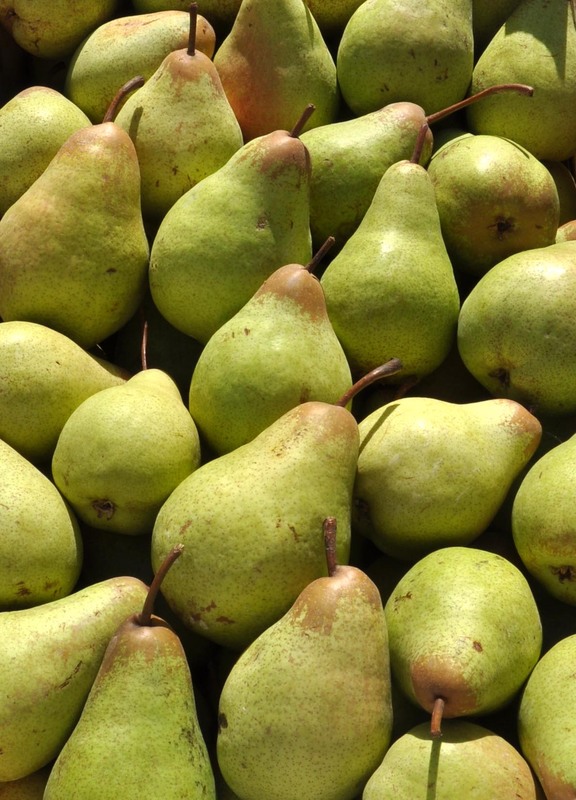 These pears had a crusty texture, a sweet aroma, and a refreshing taste. He shared grafts from this wonder tree with his neighbors, who shared them with their neighbors, spreading pera rocha throughout the west of Portugal. Paul Cézanne, born in 1839, loved to paint pears. He painted them as overlapping abstract shapes, with warm colors and cool shadows, with flat brush strokes, with thin washes of pure pigment. All his life he searched for the perfect pear. He did not know that António Rocha had found it. I finally made it back to your amazing blog !! !